OEM (Original Equipment Manufacturing) - Services - Wood Components offers quality curved and arched moldings, lineal trim, and specialty millwork for commercial contractors and home builders, plus wood and plastic OEM parts and components for manufacturers of machinery equipment. Looking for a parts supplier that can be your outsourcing partner and help you achieve your production goals? You can benefit from our 90 years of experience and extensive capabilities in making OEM (original equipment manufacturing) parts and components. If you are looking for a quality shop to do specified lengths such as cabinet components or ready to assemble projects, our high speed optimizing and defecting saw line with automatic sorting may be the solution. are recommended for ambient temperatures up to 160 degrees, and. If you are looking for a quality shop to do specified lengths such as cabinet components or RTA (ready to assemble) projects, our high speed optimizing and defecting saw line with automatic sorting may be the solution. Smaller cabinet shops, in particular, can benefit from the cost savings and parts accuracy that this line provides. Cut lists can be sent in Excel format or generated locally from other forms of part requirements. Contact Wood Components for full details and learn more about the advantages of this amazing line. Wood Components has worked with large and small businesses in a wide variety of industries producing component parts. Why is that important to you? Wood Components understands that your success is dependent on trustworthy suppliers delivering parts on time and properly made to your specifications. We have built a solid reputation by treating all of our customers, old and new, large and small, with the same full-level service. 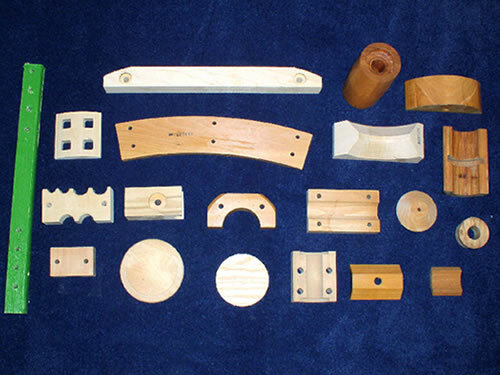 Contact Wood Components for preliminary discussions regarding your special requirements. If our expertise can successfully match your needs, a price quotation and delivery schedule will be promptly provided by our knowledgeable and courteous professionals.